Sensors of all types tell the story of our environment; they are bringing a level of situational awareness that was unknown just a few years ago. From phones and Fitbits, to field sensors on remote farms and unmanned probes navigating the lonely voids of space, sensors and smart devices are extending the human sensory system in remarkable ways. At the front line of these developments we are giving individuals and teams the support needed to increase data knowledge and raise the bar on situational awareness. Self-monitoring technologies are essential, providing a truly objective account of daily events. Wood’s goal is to use context-aware technologies to help people understand how various aspects of their work and lives are influenced by rapidly changing conditions. But to see how these smart sensors and the mountains of data they provide truly add value to our lives, we need to mine this data and build intelligent models to help us mitigate risk, and ultimately protect our assets, human or otherwise. Wood uses an enormous array of smart sensors in many of its field programs to support individual health and safety, project work and asset management. We can interrogate this data to generate more accurate forecasting models, predicting risks across a range of scenarios with greater accuracy. Our weather forecasting and met-ocean service reduces financial and safety risk for customers whose operations are sensitive to high-impact weather events or severe ocean conditions. Energy companies know only too well the problems caused by adverse weather. Lightning storms can disrupt power grids and bring additional danger to an already high-risk working environment. Smart-sensor technology is being used to notify power grid operators and the crews that work on the network. Building a more accurate picture from the live sensors, Wood combines the data with leading-edge display and notification systems to alert operators on the location, movement and density of lightning strikes, so they can better manage the supply of electricity and develop rerouting scenarios in case disaster strikes. On a local scale repair crews receive georeferenced lightning alerts to halt work if a storm is coming, and when to return after the threat passes. In 2017, we processed over 46 million lightning strikes sending more than 100,000 alerts to keep crews out of danger. Smart roads + smart vehicles = smart drivers Knowing the road conditions during adverse weather is critical. Snow, freezing or heavy rain, and strong winds create major challenges for many departments, including road maintenance, traffic management, emergency services, law enforcement, and commercial vehicle operators, not to mention you, commuting to work every day. Smart sensors are placed on roadways and vehicles to measure parameters like surface temperature, stopping friction, and road freezing conditions. The data arms departments with the right information to schedule and adapt their activities. We operate more than 430 roadside weather stations across Canada. In the not too distant future, on-board car sensors currently used by industry will be placed in every car to give an even more detailed picture of conditions and keep drivers aware of the constantly changing road surface. Our offshore customers work and live in a very harsh environment, where there can be considerable risk to individuals and assets. 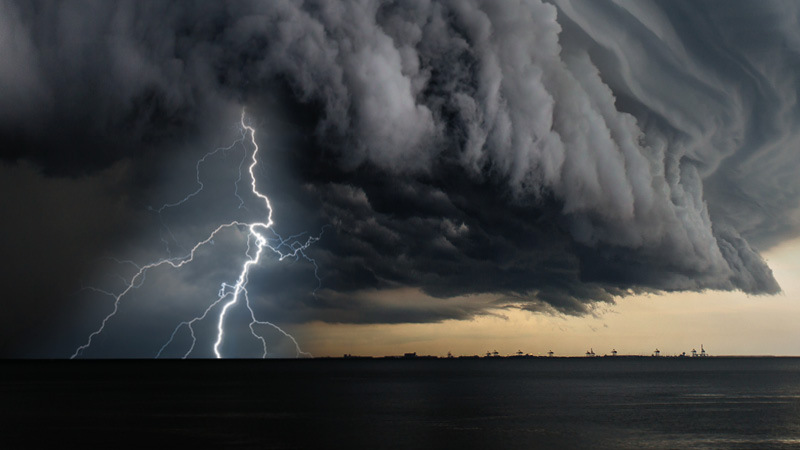 Storms that catch operators unprepared can cause major damage to vessels, severing drill strings and causing expensive loss of productivity. Smart sensors can be used to indicate the stability of an ocean platform, with wind and wave sensors working to provide operators with a better understanding of the health of the platform in various severe conditions. Wood provides vessel motion predictions for its offshore customers. Smart sensor inputs combined with atmospheric and wave forecast model data are used by our meteorologists to advise platform operators and ensure a safe working environment. This combination of sensor data and forecast modelling can connect realtime monitoring of waves and observed vessel motions to automatically provide instant updates, allowing operators to take timely action and mitigate any risk to their assets. Our world is safer and more reliable thanks to our ever-increasing ability to leverage the power of extended senses. Knowing this makes our work very rewarding. If you need some help monitoring your operation, contact: shawn.allan@woodplc.com.